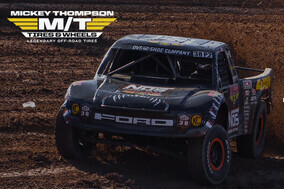 Top quality tyres without the premium price. 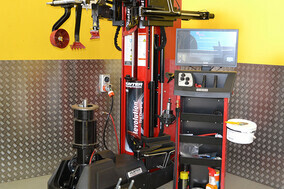 Buy your tyres online and have them fitted in our Mt Maunganui or Rotorua stores. Tyre Works Mega is one of the largest independent tyre shops in Tauranga and Rotorua, and we’re proud to deliver dealership-quality service and advice, with competitive tyre prices. We offer a full range of tyre-related services, including tyre and mag fittings, full service wheel alignments, premium balancing. Our tyre fitting and balancing equipment is unrivaled in the Bay of Plenty, making us your destination tyre store for performance and premium vehicles. Our team have over 35 years of experience in the industry so you can rest assured you’ll get premium products and advice. We’re bringing Trust back to the tyre industry. Our priority is making sure your tyres take you further, wherever your road may lead. When it comes to quality, safety and proper maintenance, we don’t take any shortcuts. Drop in and see the team at our Mt Maunganui or Rotorua Workshops, or give us a call for honest and professional advice. We understand that no two customers are the same. Our team puts in the time to find out where you're going and what's important to you when you’re driving. Whether you’re navigating traffic, windy country roads or muddy paddocks, we’ll find you the tyres to get you there. 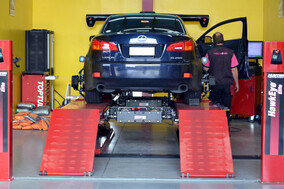 We know that looking after your tyres is as important as putting on your seatbelt. All of our tyres have been handpicked for their safety and quality. After all, your tyres are the most important feature of your car when it comes to gripping the road and braking safely when you need to. Finding the right tyres should be a priority, but it shouldn't be a chore. We’ve got plenty of options to fit our service in around your busy lifestyle. Drop your car off and take one of our courtesy vehicles for the day, or swap it for an e-bike! For our Tauranga customers, use our airport-handy location to your advantage and save on parking for the day – we offer a pick up and drop off service to get you to your flight and have your vehicle ready for you on your return. 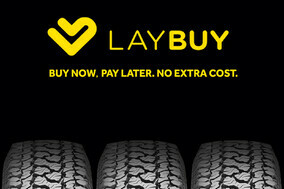 LayBuy - Buy now, pay later, No extra cost.